You are here: Home / Services and Amenities / Groups Welcome! Are you planning a gathering? A reunion? A campout? A roundup? 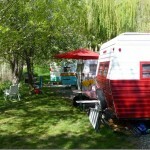 Swiftwater RV Park, a Good Sam Park, along the banks of the Salmon River in north central Idaho is an excellent campground to hold these types of events! 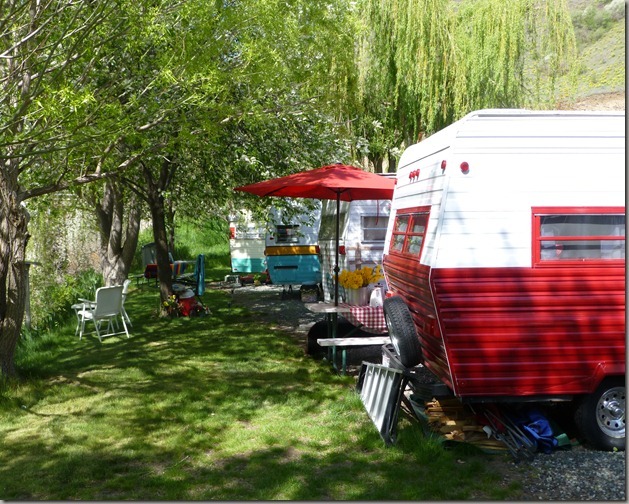 In late April 2013, we hosted over a dozen ‘Sisters on the Fly‘ for a special ‘Girl Campout‘ at Swiftwater. 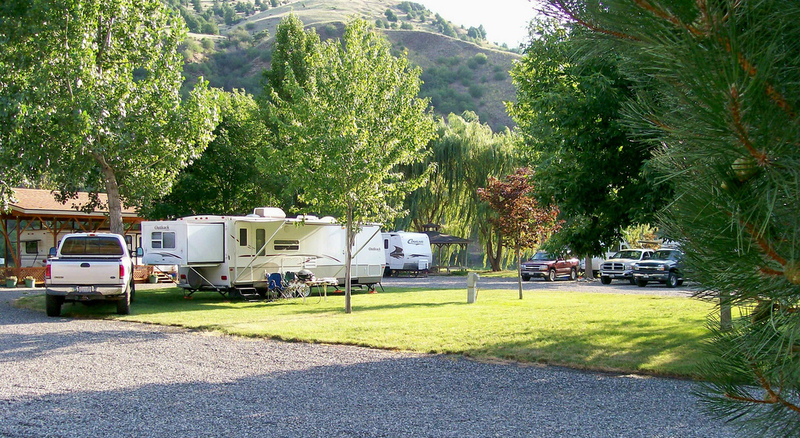 Whether your organization is a motorcycle club, an RV travel club, an ATV or 4-wheeler club, musicians, anglers, a church group, or you’re planning a family & friends reunion — Swiftwater RV Park welcomes you! We have the amenities to make your gathering a great event! 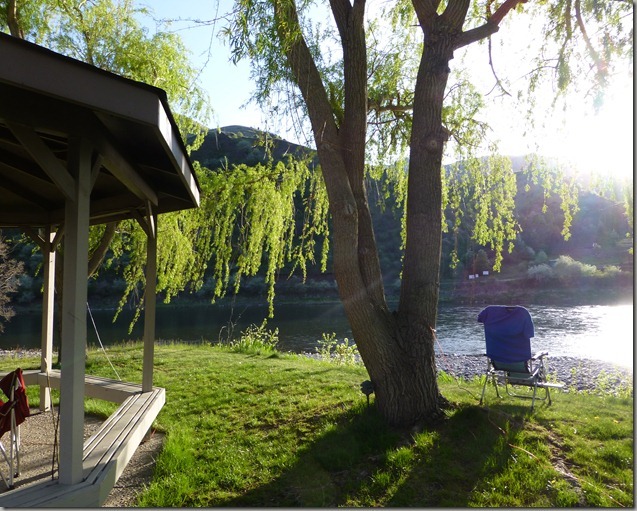 The park has two group gathering areas: the covered Gazebo in the corner with the big beautiful Salmon River just a stone’s throw away. Benches surround the Gazebo and a stone fire pit sits the center. The second area is a large covered Pavillon and is excellent for friends and family to meet, complete with tables, chairs and a BBQ. Electricity is available to both areas. 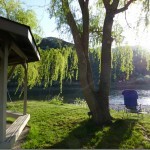 Steps down to the Salmon River make it a fun place to toss a frisbee, walk, sunbathe or walk alongside the Salmon River. 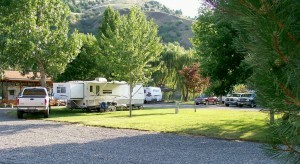 The five acres of public lands adjacent to Swiftwater RV Park lead to a wonderful, private sandy beach, in addition to offering extra parking space for boats, trailers, vehicles and any size of RV. Give us a call or use our Guest Form to let us know your plans, number of people in the group and other details. We’ll help to make your gathering an enjoyable and memorable event!